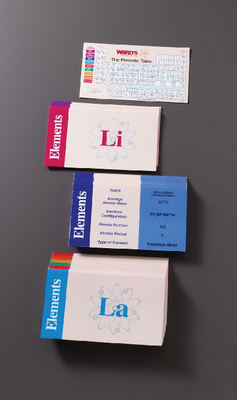 Perfect for reviewing the important information found on the periodic table of elements, each of these cards contains the atomic symbol on one side, and the element name, atomic number, atomic weight, electron configuration, period, and element family on the other. The information contained on these cards is based on the latest information from the Commission on Atomic Weights and Isotopic Abundances and IUPAC. Set of 115. Size: 3" x 5".